I bumped into this article from Forbes magazine about the Olympics and leadership lessons that can be drawn from it. I thought it might be worth commenting on it here as we reflect on our leadership in our churches. As the closing ceremonies come to an end for one Olympics, the branding campaign for the next kicks off. The Olympics are in a perpetual state of go to market. Their history and version cycle may give them some breathing space, but they have a deadline that cannot slip – they must deliver the product, and the experience. We have a similar issue in our churches . . . we are also in a perpetual state of “go to market”. What can we learn from the way the olympics builds momentum from one huge event to the next? It’s one thing to talk about execution, but it’s quite another to deliver it. Every four years, The Olympics provide us with a live master class in innovation, human aspiration and achievement, leadership, sustainability, talent management, crisis management, branding, marketing, logistics, security, politics, event planning, IT, and fiscal governance (just to name a few). Whether dealing with boycotts, terror threats, or geo-political unrest, The Olympics promise a spectacle and they deliver on their promise. Does your organization medal in execution, or are you consistently missing the podium? I’m sucker for organizations that deliver good stuff, on time, all the time. Who in organizations are charged with ensuring that what we actually produce for people to experience is excellent every time we do it? Are we obsessed enough with the final product? Let’s face it, few things offer the global scale and appeal of The Olympic games. Most CEOs can only dream of having the international footprint, brand cache, and customer loyalty generated by The Olympics. Logistics were enough of an issue at the first Olympics when the participants were comprised of just the city-states of Ancient Greece. Contrast this with today’s Olympic games, which encompass tens of thousands of participants from virtually every nation on the planet. The growth of the Olympics as an organization in the last 100 years is staggering. The structure and framework of the games has been a part of it’s success . . . allowing the local organizing teams to execute on an individual games while the international body focuses on maximizing the value of the movement. Does your structure allow you to grow and increase your impact? Or does it hinder it? How long has your brand been around? The Olympics have spanned the test of time and offer a blueprint for building a sustainable organization. They have a mission and vision, they have leadership in place to deliver on the vision, and they have succession in place to ensure the future. 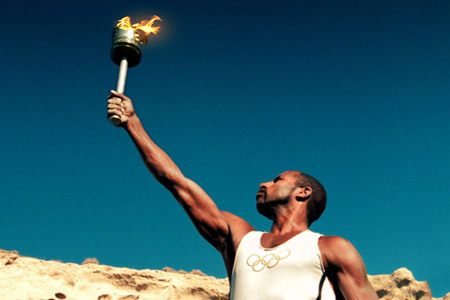 The Olympics have innovated, engineered and re-engineered, survived world wars, economic hardships, and terror attacks. They have developed into a mature organization that will continue to thrive going forward. Can you say the same for your company? Are we building leadership to sustain beyond our direct influence? What are we doing to ensure that we pass on our learrnings (good and bad) are given to the next generation? Our goal is an organization that outlasts us . . . but that we pass the message of Jesus onto the next generation to find fresh expression in their time.